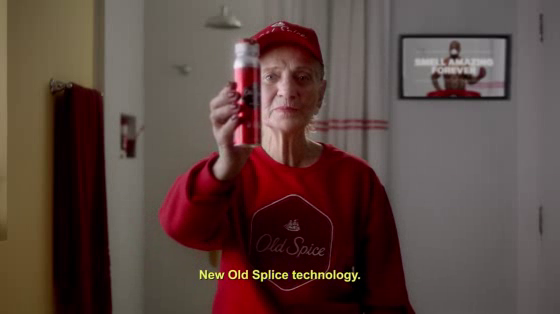 Wieden + Kennedy Sao Paulo and Old Spice created the first endless spot of history: one commercial, inside another and another, that turns into an endless ad. The video will be on air for eternity at www.ocomercialinfinito.com.br. Ventured, the brand of deodorants, aired the film for 14 hours at Woohoo channel, becoming longest campaign in television history. The record-breaking granted the client and the agency into Guiness Book of Records. The film titled "O filme Infinito" (Endless commercial) features the participation of actor and brand ambassador Terry Crews and promises to make lots of laughs from viewers. In addition to the complete film, six drops were produced to support on digital channels and TV. A 2min version and 15 " were aired in different TV Channels. The campaign will be exported and replicated throughout Latin America and Mexico.